I met this little bloke a few years back, after I kept hearing odd tapping noises on the window. 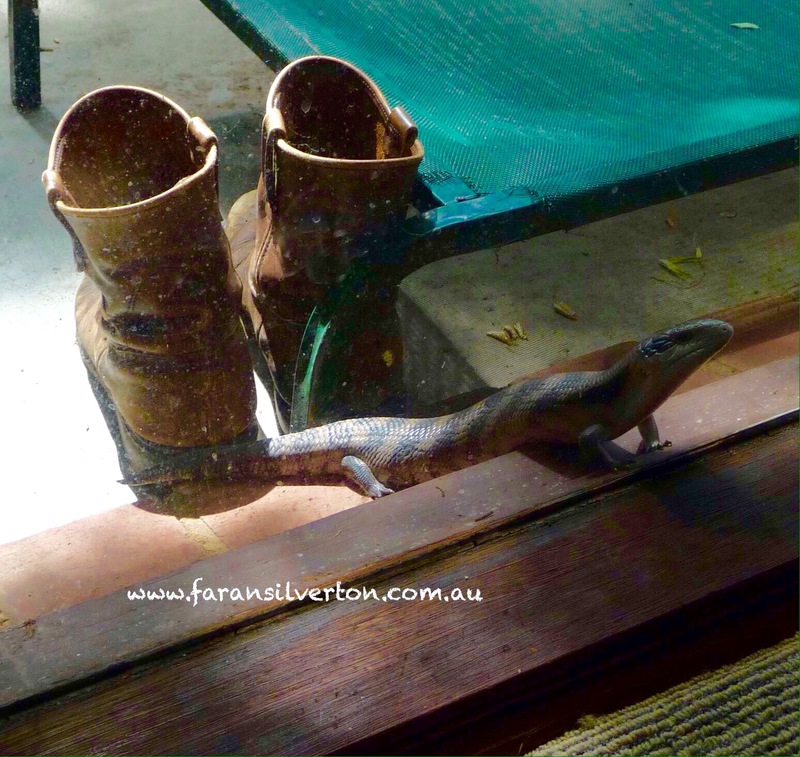 I finally realised what it was – a whopping big blue tongue lizard. These amazing creatures can live for 15-20 years, but are very vulnerable to a range of predators including cats and dogs. He is 🙂 I’m still not sure why he kept knocking on the glass but he was quite persistent about it. He was lucky to have dodged the dog too, that’s her bed just behind him. What a great neighbor to have! I have small skinks in my neck of the woods. Don’t like them. They are harmless but they scare my half to death when I’m working in the flower beds. The common one in my area are very fast. I had one get inside the house but luckily, it found another door to exit. I don’t mind the lizards so much. These fellows are pretty docile although I think their bite can be painful. The snakes are the ones that worry me!